Suppliers of Barber Wilsons & Sterlingham Co. NEED HELP CONFIGURING THIS PRODUCT? 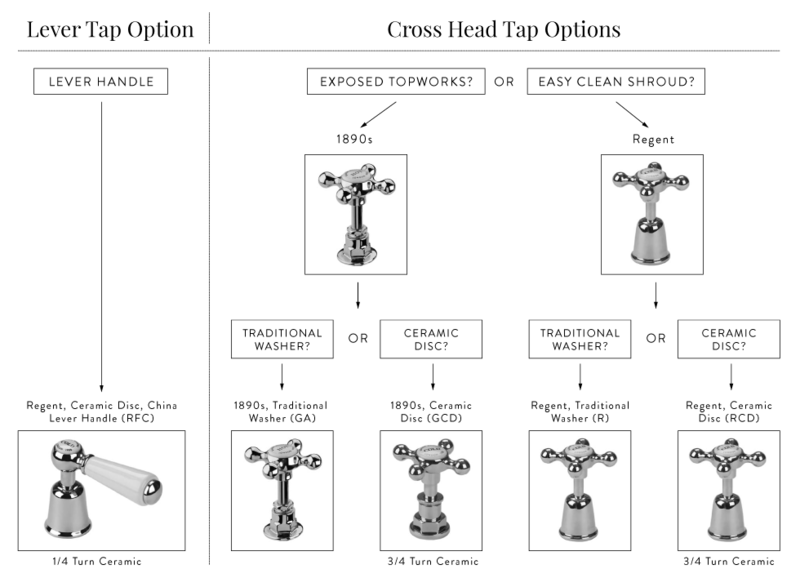 View details of the available tap head styles, finishes & technical drawings by clicking on the information tabs below. 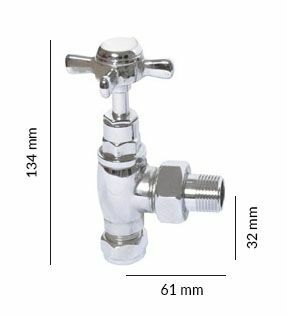 Suitable for high or low water pressure installations. Lead time for delivery is typically 4 - 6 weeks, as all Barber Wilsons taps are handmade to order. 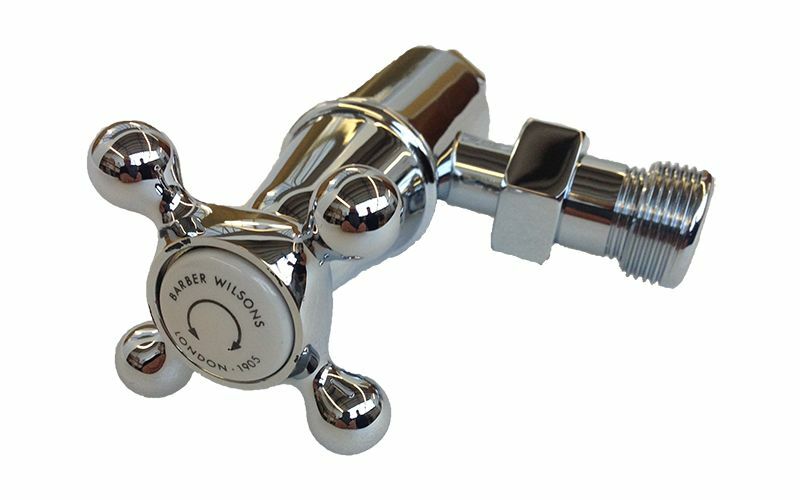 Barber Wilsons taps are available in five tap head styles. 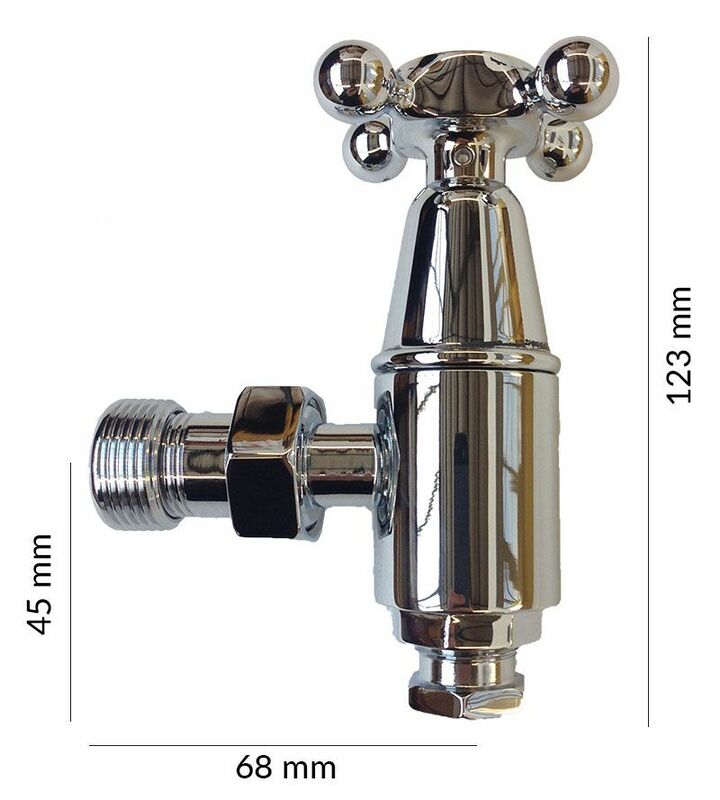 Please click on the Tap Heads Explained tab for more details. Barber Wilsons taps are available in six finishes. Chrome, Nickel and Polished Brass are available to purchase online. Satin Nickel, Inca and Weathered Bronze are also available - please contact us for price and availability. Please click on the Finishes tab for further details. 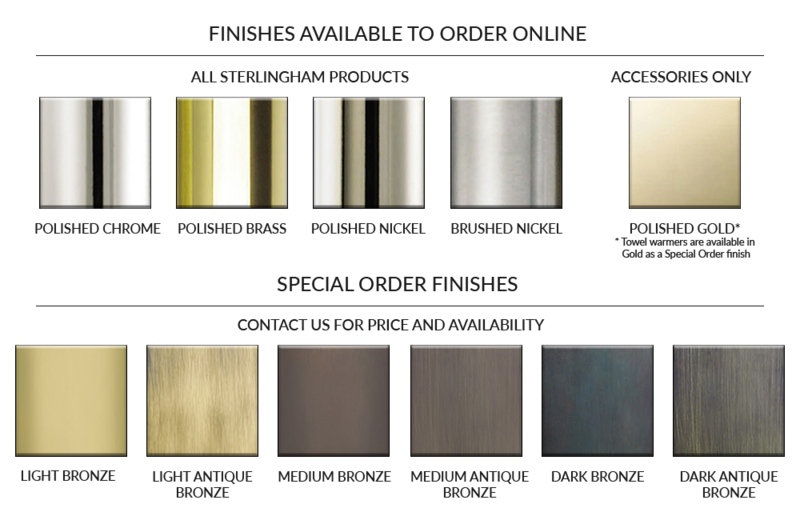 The following finishes are available on Sterlingham products - depending on availability, some finishes will be manufactured to order. 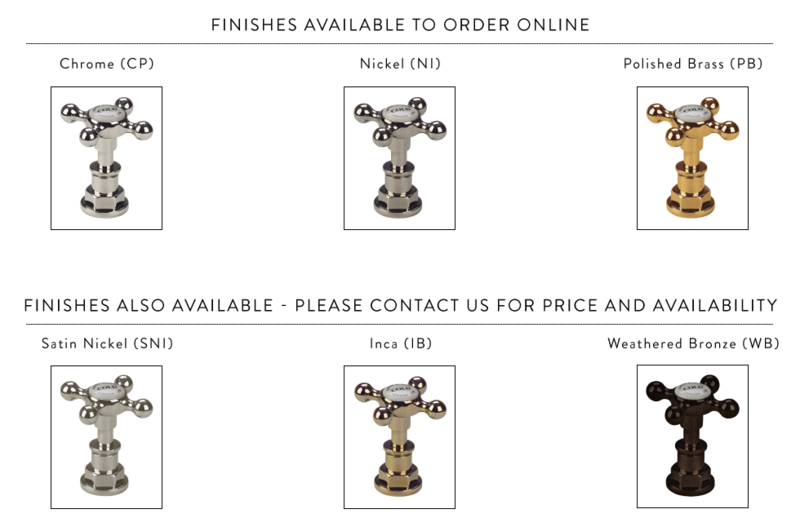 If you wish to order any of the finishes not available online please call us on 01603 558271 or e-mail us. 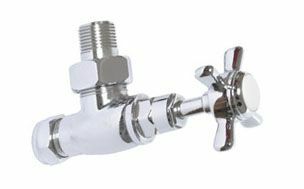 Towel warmers which use water to heat the pipes (Dual Fuel and Central Heating options) require valves to attach them to your existing heating system. 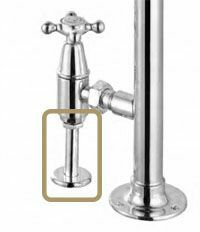 We offer two valve options, which will be supplied in a matching finish to the towel warmer selected. 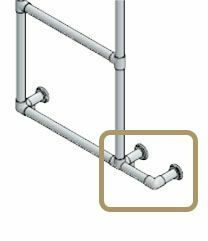 When purchasing either a Central Heating or Dual Fuel towel warmer, covers in a matching finish and design can be purchased to hide the connections to the pipework. Used to hide central heating pipework. Provided in matching finish as towel warmer. Used to hide and protect electrical dual fuel heating element. Provided in matching joint style and finish as towel warmer. 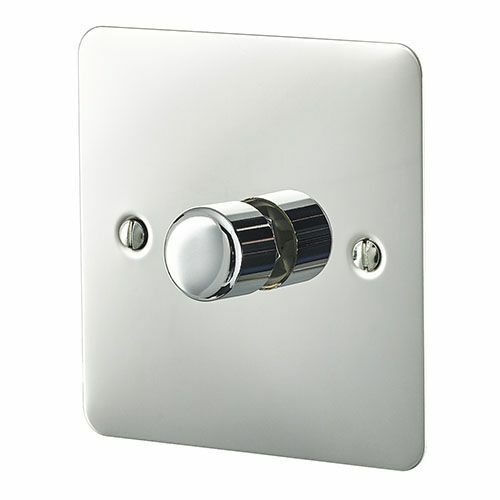 Electric heating towel warmers are controlled using a dimmer switch, which can be placed outside of the bathroom. 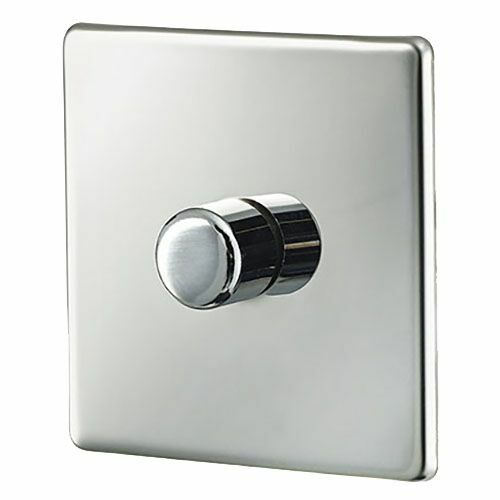 The switch is available in two variants, in either Chrome or Polished Brass finishes. The following towel warmer heating options are available for this product range. For more information on the heating options from Sterlingham, click here.